Can We Catch More Fish and Still Preserve the Stock? People have always fished. But the history of fishing is also the history of overfishing. For hundreds of years, the establishment and enforcement of fishery management policies have generated controversy, as competing authorities have searched for a way to balance competing goals—to catch as many fish as possible while conserving the resource. To resolve this dilemma, we have applied mathematics—and we are finding that the ancient solution may still prove effective in modern times. In May 2000, President Bill Clinton issued Executive Order 13158, expanding a 20-year-old fisheries management law, the Magnuson-Stevens Act. The order requires the National Oceanic and Atmospheric Administration (NOAA) and other federal agencies to establish new Marine Protected Areas (MPAs) and to expand the protection of existing MPAs. An MPA is defined as “any area of the marine environment that has been reserved by federal, state, territorial, tribal or local laws or regulations to provide lasting protection for part or all of the natural and cultural resources therein.” MPA examples include National Marine Sanctuaries, Federal Threatened/Endangered Critical Habitat and Species Protected Area sites, and National Estuarine Research Reserve system sites. The language of this order clearly emphasizes conservation. But NOAA has another mandate: to manage fisheries, “while achieving, on a continuing basis, the optimum yield from each fishery for the United States fishing industry.” Does the MPA approach work for the dual purpose of increasing conservation and maximizing yield? But what effects will expanding marine reserves have on the fisheries? Many people, and not just fishermen, believe it is impossible to obtain the maximum yield from a fishery while simultaneously setting aside areas as marine reserves. A congressional critic of marine reserves revealed some of the intensity of the debate during congressional hearings in 2002 when he said that “the marine reserve movement seeks to exclude the American public from a public resource without scientific justification for doing soÃ?Â?Ã?Â?” (http://resourcescommittee.house.gov). The essential questions are: Can NOAA simultaneously fulfill its conservation and fisheries management missions, and can they do so using marine reserves? Is it possible to maximize the sustainable yield of a fishery using marine reserves? If so, how big should they be? The questions all involve optimally balancing various rates of change to achieve some goal. In this case, the goal is maximization of yield. The rates are individual growth rates, population growth rates, harvesting rates, dispersal rates, disturbance rates, and when economics is brought into the picture, interest rates. Many of these rates interact with each other in nonlinear ways. For example, as harvesting rates increases, population size tends to decrease. When that happens, fewer individual fish compete for food, individuals may grow faster, and as a result, reproduce sooner. This web of interacting rates is quite complicated. There is no way to distill the consequences of the interactions of all of those rates, let alone figure out how to balance them in an optimal way, without using a mathematical model, which is a set of equations describing how the properties of a system depend on and relate to each other. 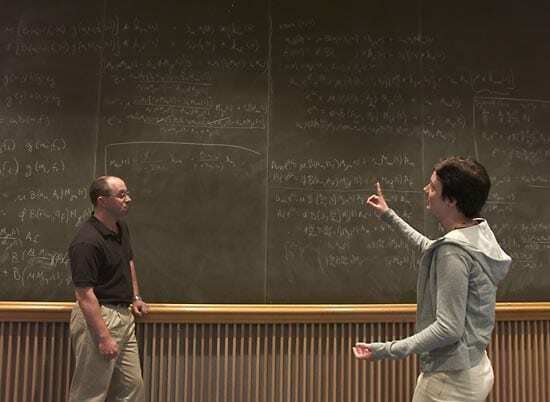 Models describe the behavior of a system in mathematical language—that is, equations. Models are powerful because they let us identify and separate critical factors (variables) affecting a changing system. 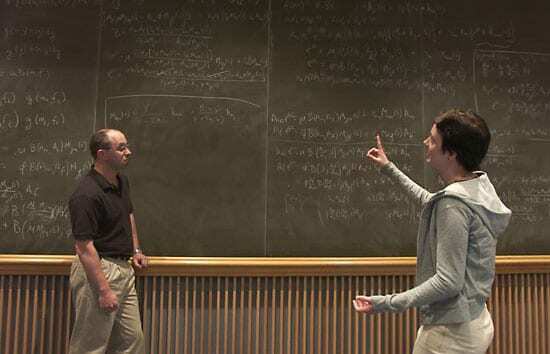 By refining the equations, we can come closer and closer to describing the real system—and being able to predict it. Fisheries biologists have a long tradition of using mathematical models, so I was not surprised to find that people had already attempted to answer my first question. They used models ranging from simulations of very complicated computer models to “pencil and paper” manipulations of very simple models. For the most part, these analyses compared two types of fishing strategies. The first strategy seeks to find an ideal arrangement of marine reserves that maximizes fish yield by varying the size and placement of one or several reserves. The second, more “traditional” strategy is to vary the level of fishing uniformly over an entire area to maximize the yield. The results of these analyses, with few exceptions, show that the best-distribution-of-marine-reserves strategy and the more traditional fishing-limit strategy both produce the same yields. Both analyses have problems, however. Both strategies assume that a reserve protects an unchanging fraction of the fish—those in the fixed area of the reserve. But in reality, as fish populations grow, a varying fraction of the stock will disperse out of the reserve area, so the remaining fish are also a varying fraction of the total—and the analysis doesn’t account for that variation. Only a so-called “spatially explicit” model, which takes the locations and movement of the fish into consideration, will account for the biophysical reality of fish dispersal. I set out to construct and analyze a spatially explicit fishery model and use it to determine the fishing strategy that produces the maximum possible yield—without assuming ahead of time that either of the usual strategies would be best. I kept the model simple enough that I could analyze it mathematically (which meant that I kept it very simple). In my model, all fish are identical, they live in a one-dimensional habitat of finite length, they move in a random fashion, and if they happen to leave the habitat, they die. The only limit I placed upon fishing effort was that it could not exceed some preset maximum level. I used techniques from a field of mathematics called “optimal control theory” to figure out the best fishing strategy. This is the same theory that engineers use to figure out the most efficient way to control the motion and stability of airplanes, rockets, and submarines, for example—hence the name. The results of my analysis were surprising. The fishing strategy that maximized yield always included at least one marine reserve, and fishing strategies that did not include reserves were all less than optimal. In other words, fishermen actually catch fewer fish than when there are no areas closed to fishing. The optimal number of reserves depended upon the length of the habitat. If the habitat was large, the best arrangement of fishing took on a very intricate geometric structure, of infinitely many reserves alternating with areas of maximum fishing effort. Of course, such a complex distribution of fishing effort could never actually be used in the real world. But in every case—for every habitat length—I was able to find a strategy using only a few reserves that came very close to producing the maximum yield. Are MPAs the way to maximize yield in real fisheries? Will fish and fisheries both thrive if you fish on your side, I fish on my side, and nobody fishes in the middle? My results suggest that this is true. There are, however, many assumptions and simplifications in my model that are open to objections. Fisheries biologists might assert that it’s essential to account for population size structure, uncertainty about the variables, and changing environmental properties. Conservation biologists might demand an optimization that includes what they term an “existence value”— a non-consumptive value assigned to the fish’s existence, whether or not anyone ever sees, or catches, the fish or its descendants. Biological oceanographers might object to the fact that my model ignores species interactions, or to the use of a one-dimensional model, or to the way that I described the movement of fish, which disregards ocean currents. Economists might argue that the maximization of sustainable profit, rather than the maximization of yield, should be the management objective. Including some of these modifications in the model could change my results; others might not. I am looking forward to exploring these issues further during my tenure as an Ocean Life Institute Fellow. AHEAD OF THE TIMES—Lake Chargoggagoggmanchauggagoggchaubunagungamaugg, in Webster, Mass., has a long name derived from the Native American Nipmuk language. The widely known translation of the name ("You fish on your side; I fish on my side; nobody fishes in the middle") may foretell how Marine Protected Areas can ensure the greatest fish abundance. How Do Larvae Find a Place to Settle Down? Do Marine Protected Areas Really Work?